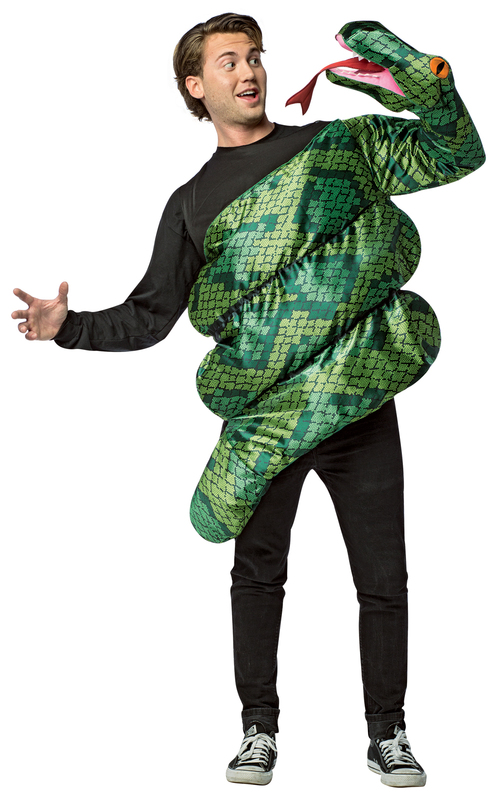 Whether you're a fan of Sir-Mix-A-Lot, enjoyed the classic movie, are a jokester or just plain love snakes, this Anaconda Adult Costume is for you. Includes a snake shaped tunic with puppet style arm. Does not include shirt, pants, or shoes.